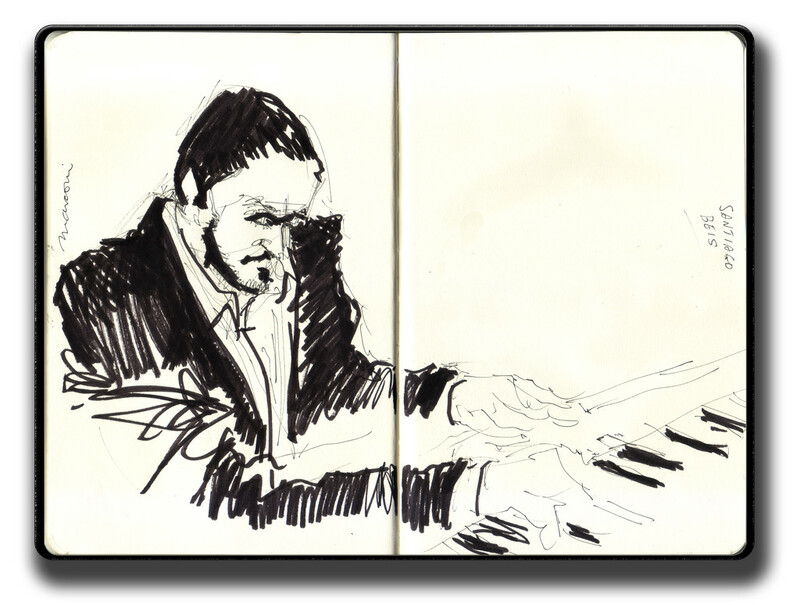 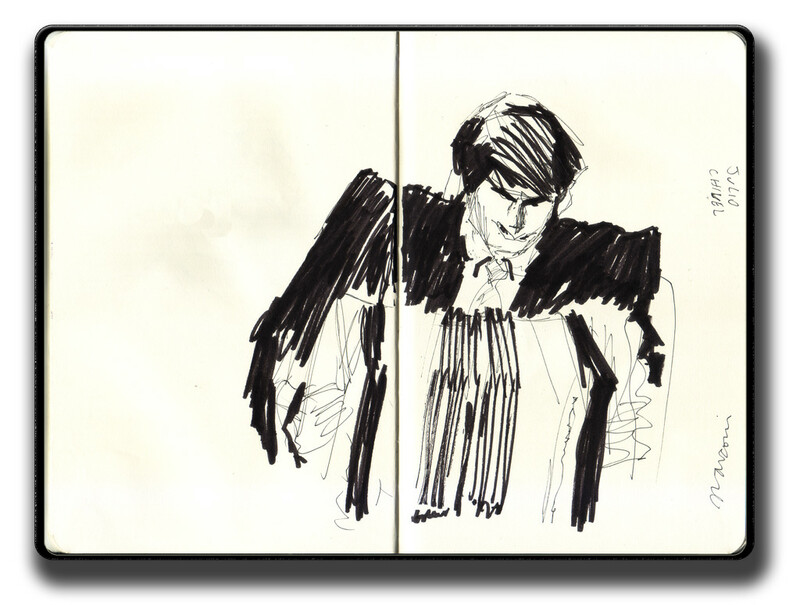 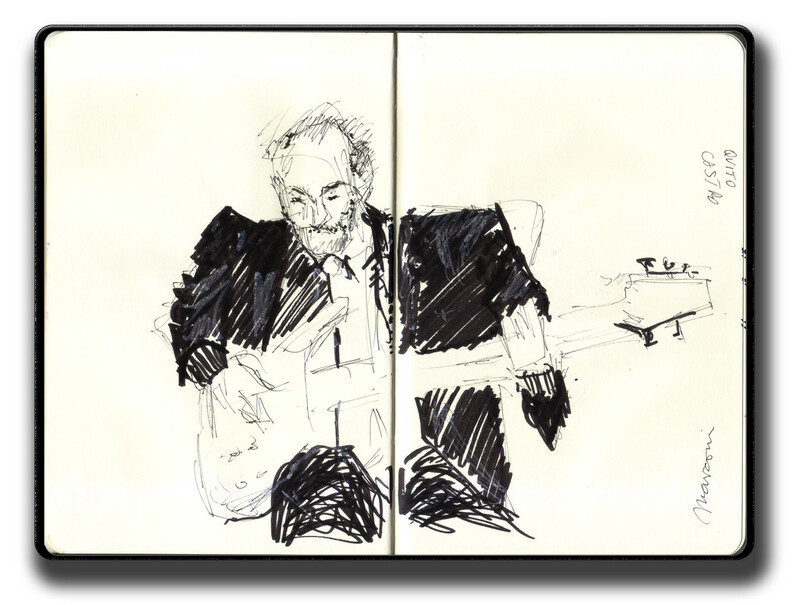 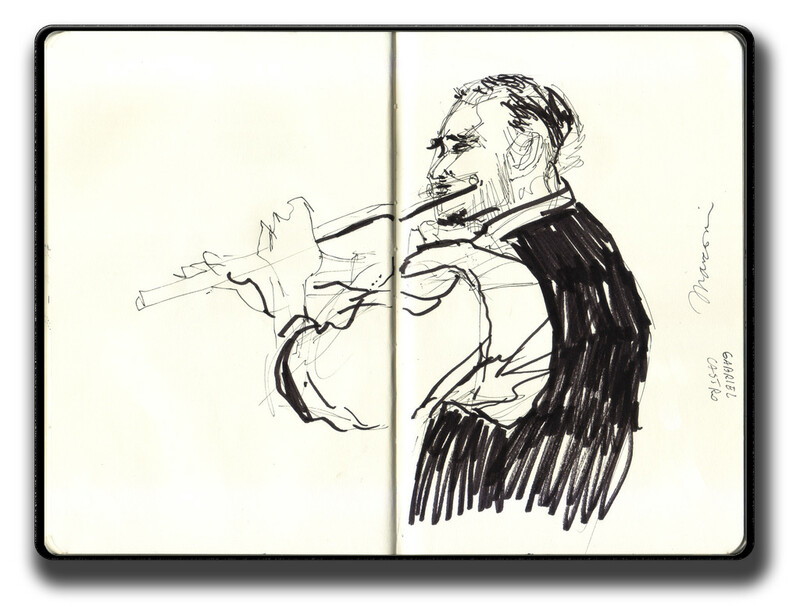 Sketches of "Los Tangueteros" live performance at Parana's Public Library. 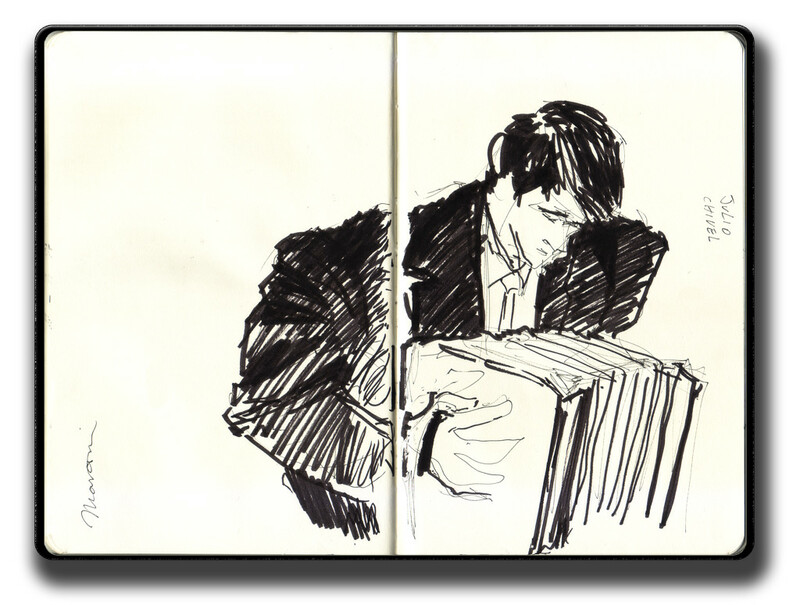 Sketches of Los Tangueteros, composed by Gabriel Castro (flute), Santiago Beis (keyboard), Julio Cesar Chivel (bandoneón) e Quito Castro (bass). 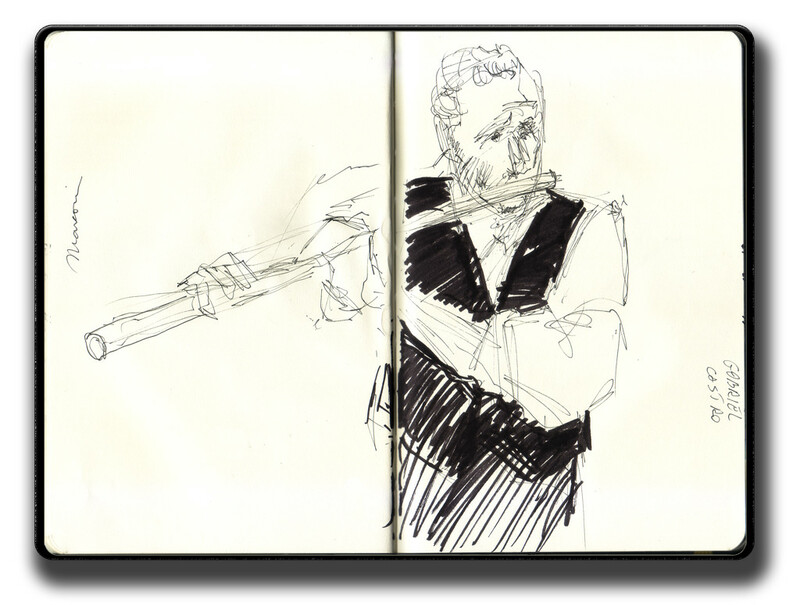 All drawing were made in the Paraná Public Libray (26th July of 2012).